GOP to Perez: We strongly urge you to provide stakeholders with an opportunity to review the changes before the rule advances to OMB. More than 100 House Republicans told Labor Secretary Thomas Perez in an Oct. 6 letter to tell them by Oct. 21 how the Department of Labor will make “substantial changes” to “shortcomings” in its fiduciary plan, but to also allow stakeholders to view those changes before issuing a final rule. The letter, sent by Reps. Mike Kelly, R-Pa., and Sam Johnson, R-Texas, both members of the House Ways and Means Committee, told Perez that “given the scope of the necessary changes and the significant consequences for retirement savers — especially those with smaller account balances — we strongly urge you to provide stakeholders with an opportunity to review the changes” before the rule advances and is submitted to the Office of Management and Budget. The comment period on DOL’s rule to amend the definition of fiduciary under the Employee Retirement Income Security Act ended on Sept. 24. 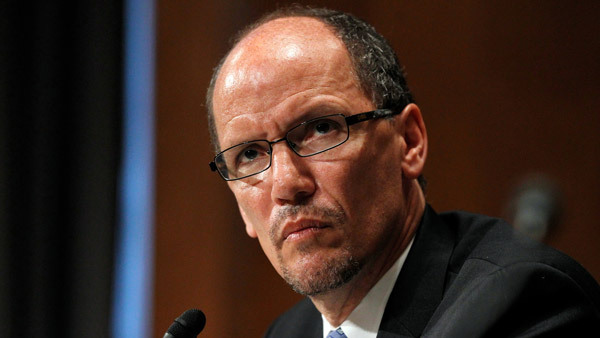 Opponents to DOL’s rule are taking issue with the fact that Perez has stated DOL will issue a final rule after considering the comments received. The same day, the House Financial Services Committee passed Rep. Ann Wagner’s bill, HR 1090, the Retail Investor Protection Act, which stops DOL from moving forward on its fiduciary rule until the SEC acts on its own. The bill was referred to the full House. — Check out SEC Needs to Move on Fiduciary Rule, Ex-SEC Chiefs Say on ThinkAdvisor.